PharmaMix-M 300 is a composite preparation of drostanolone, which includes a mixture of short and extended forms of the steroid: accordingly, drostanolone propionate and drostanolone enanthate. The mix is ​​the most effective, therefore it is applied on courses of drying or qualitative growth of muscles and force. 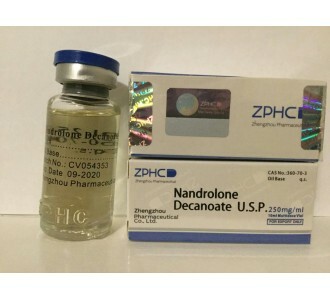 The manufacturer describes the drug as a product, purposefully designed to provide the longest, most consistent and pronounced effect of drostanolone. According to information from the official site, the mixture is ideal for long courses aimed at forming a dense and relief musculature (without excessive fluid retention, typical for long-acting steroids). The effect of PharmaMix-M 300: high-quality (without excess water, fat and rollback) muscle growth, fat burning, increased stiffness and relief of muscles, as well as increased strength, endurance, performance, reduced fatigue, which only positively affects the relevance of the mix for athletes. 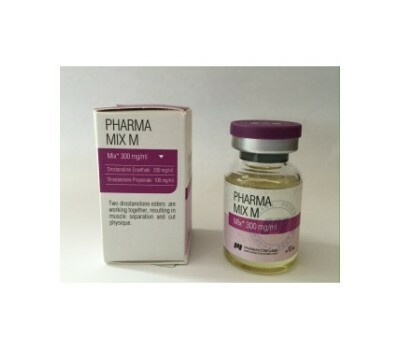 PharmaMix-M is characterized by a predominant androgenic over anabolic activity (has strong androgenic and moderate anabolic properties), a prolonged effect after injection (up to 2-3 weeks), not characteristic of hepatotoxicity or aromatization (side effects such as fluid accumulation, gynecomastia and liver dysfunction, with the recommendations strictly excluded). In connection with the specificity of the action for sports purposes, it is recommended only to men (for women, the use is fraught with virilization). Probable side effects of PharmaMix-M are mainly androgenic, like acne, hair, coarsening of the voice, aggression, alopecia, prostatic hypertrophy, suppression of own testosterone production, testicular atrophy and some others. When observing the recommended dosage, duration and duration of application, side effects are usually rare and mild. PharmaMix-M 300 customer reviews describe the laudable. According to the manufacturer, the drug is a working mixture of steroids, and the opinions of athletes are a confirmation. In detail with reviews about the products presented in our online store, and its work, you can find on the site itself or various thematic venues (from forums to white lists). The average recommended dosage of PharmaMix-M is 300-600 mg per week (with good tolerability of the body - up to 900 mg per week). Since the mix has a long action (half-life - 5-6 days), there is no need for intensive injection: for a smooth background of the action, as a rule, 2 applications on different days of the week (for example, 300 mg on Monday and Friday) are sufficient. The course of application of PharmaMix-M 300 from PharmaCom Labs is effective and relatively harmless for up to 6-8 (or more) weeks, depending on the tasks, sensitivity and tolerability of the body. To achieve optimal progress, it is preferable not to abuse the drug, but its combined use. 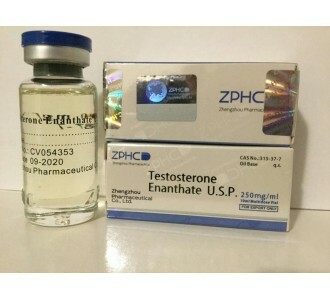 For athletes experienced with athletic pharmacology, ligaments with mixtures of testosterone esters (Sustanon, Omnadren and others) and trenbolone (Trenbolone Mix, Tri-Trenabol and others) or extended esters of these steroids, like testosterone enanthate (Testosterone E, Testover E and others) are effective. Trenbolone enanthate (Trenbolone Forte, Trenaver 200 and others). 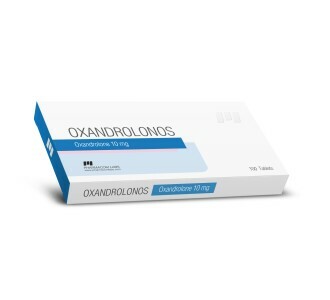 In general, the mix of drostanolones is perfectly combined with many topical steroids, from screaming turinabol to oxandrolone. Application of PharmaMix-M reviews of athletes are able to describe in different ways, but in true hands the drug more than compensates for its own risks and price. And in our online store the optimal conditions for its acquisition are offered.